Many historical sites have been beautifully preserved within Marietta and Washington County, reminding all residents and visitors that America’s westward expansion began in our small but mighty, riverboat town. Marietta remains a political and cultural center, and many tourists visit each year to find out about the city’s important place in Ohio’s early history. There is so much more to Washington County beyond Marietta. For simplicity sake, we have divided the county into “quadrants” of places to visit. The second settlement of the Northwest Territory was Belpre, then known as “Belle Prairie”. Belpre has a rich history that includes early Indian encampments, the Underground Railroad, and the state’s first library. You can find an extensive history exhibit at the Belpre Farmer’s Castle Museum and Education Center. A bit further west, the land was deemed too dangerous to settle because of natives who were willing to fight for their land. But some brave pioneers forged ahead and built their homes in Little Hocking, Barlow and Vincent. These charming towns are connected by a series of country roads that will take you through rolling hills and over scenic streams. In fact, six of the county’s nine historic covered bridges still in use are in western Washington County. Ready to explore beyond the boundaries of Marietta’s city limits? 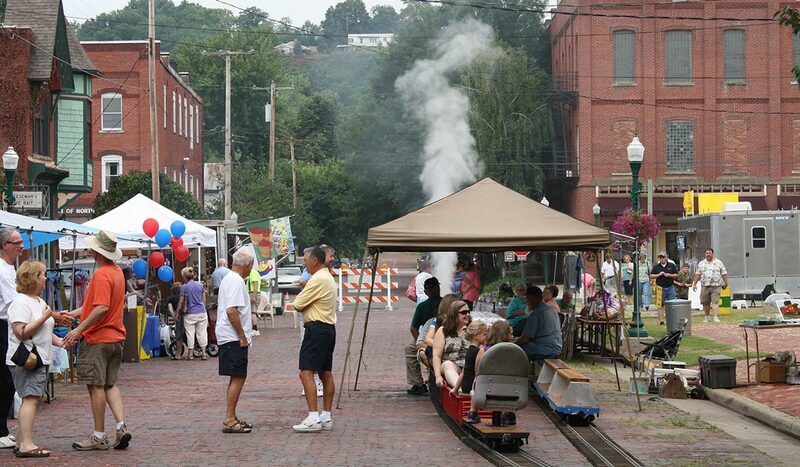 Driving north along the Muskingum River you’ll find three charming communities –Lowell, Beverly and Waterford. Settled as early as 1789, the area where Cats Creek meets the Muskingum River developed into two villages, then into three as Beverly and Waterford separated to opposite sides of the Muskingum River. The route from Marietta to its northern neighbors is a scenic one, and the people and places you’ll meet make it worth the scenic drive. If you drive east from Marietta you will enter the 64,000 acres of the Wayne National Forest , Ohio’s only national forest along the Ohio River. Two small towns, Newport and New Matamoras, make up part of an eastern section of Washington County and lie tucked among the natural beauty of the area. Wild or mild, you’ll find plenty to do in the natural splendor of eastern Washington County.